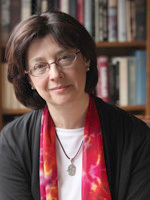 Ava Cohn, an internationally known genealogist and expert on Jewish family photographs, will speak on “Clued-In: The Stories are in the Details” at the Sunday, March 29, 2015, meeting of the Jewish Genealogical Society of Illinois at Temple Beth-El, 3610 Dundee Road, Northbrook. Cohn, AKA Sherlock Cohn, The Photo Genealogist, will explain how to differentiate between a clue that is useful and furthers our study of genealogy and one that gives little or no usable information. The JGSI meeting facilities at Temple Beth-El will open at 12:30 p.m. to accommodate members who want to use or borrow genealogy library materials, get help with genealogy websites, or ask genealogical questions before the main program begins at 2 p.m. For more information, visit http://jgsi.org/ or phone 312-666-0100. According to Cohn, there is a wealth of information to be gleaned from the visual records of our mishpocha. Coupled with handed-down family oral traditions and found documentation, these photo discoveries can become the basis for our family stories. But, she asks, is the detail found in the photo what she calls a bisl (something to ignore) or the gantze megilla (something that tells us a story)? Ava Cohn brings a lifelong experience with heirloom photos and a multidisciplinary approach to photo dating and interpretation. A native of upstate New York, currently residing in the Chicago area, she has a degree from Brandeis University with coursework in decorative arts, art history, and costume history at the Victoria and Albert Museum, London. Recognizing the need for accurate dating of Jewish family photographs, combined with specialized knowledge of immigrant and Eastern European culture and traditions, she devotes her work, almost exclusively, to Jewish family photographs. Cohn is a speaker and writer whose articles have appeared in many Jewish genealogy publications.